Global crude steel production reached roughly 1.81 billion metric tonne (mt) in 2018, up 4.6 per cent compared to the previous year, said the World Steel Association in its latest report, showing a rate of increase substantially higher than expected levels of global economic growth for the year. Production grew in all regions in 2018 except the European Union, which saw a 0.3 per cent contraction, worldsteel said. The rate of increase was however slightly lower than the 5.5 per cent global crude steel production growth registered in 2017 over 2016 levels. Asia produced 1.27 billion mt of crude steel in 2018, an increase of 5.6 per cent compared to 2017. China’s crude steel production in 2018 reached 928.3 million mt, up by 6.6 per cent on 2017. China’s share of global crude steel production increased from 50.3 per cent in 2017 to 51.3 per cent in 2018, said the report from World Steel Association. India’s crude steel production for 2018 was 106.5 million mt, up by 4.9 per cent on 2017, meaning India has replaced Japan as the world’s second largest steel producing country. Japan produced 104.3 mt in 2018, down 0.3 per cent compared to 2017. South Korea produced 72.5 million mt of crude steel in 2018, an increase of 2.0 per cent compared to 2017. Crude steel production in Asia and China showed strong growth in 2018, and China’s leadership position in overall output also grew, according to worldsteel. A programme to eliminate obsolete and polluting capacity in China, including at induction furnaces whose output may not have been included in official figures, is seen to have been compensated for by greater productivity at more modern and efficient mills. 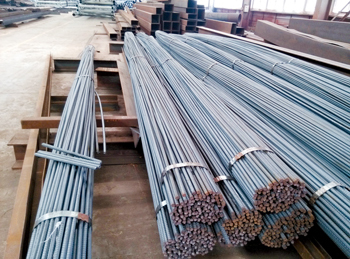 The Middle East produced 38.5 million mt of crude steel in 2018, an increase of 11.7 per cent on 2017, said the worldsteel in its report. Iran, which is undertaking a major steelmaking capacity expansion as part of an economic development plan, was the world’s tenth biggest crude steel producer last year, with output of 25.0 million mt, a jump of 17.7 per cent on 2017. Turkey, number eight in the global steel league, had 2018 crude steel production of 37.3 million mt, down by 0.6 per cent from 2017, it stated. After the US at number four, South Korea was the world’s fifth biggest crude steel producer with output of 72.5 million mt, up 2 per cent from 2017. The EU produced 168.1 million mt of crude steel in 2018, a decrease of 0.3 per cent compared to 2017. While continuing as the second biggest producing region, its overall output is still well below the levels attained before the global economic crisis, stated the report. Output in Germany, number seven on the world production chart, last year fell 2 per cent to 42.4 million mt while France’s production fell 0.7 per cent to 15.4 million mt and Spain’s was down marginally by 0.1 per cent to 14.3 million mt. Italy’s crude steel output however grew by 1.7 per cent to 24.5 million mt, it added. According to worldsteel, the crude steel production in North America was 120.5 million mt in 2018, up 4.1 per cent higher than in 2017. The US, where domestic output was seen by analysts to have been boosted as a result of Section 232 import tariffs imposed in March, produced 86.7 million mt of crude steel, up 6.2 per cent on 2017. The CIS produced 101.3 million mt, an increase of 0.3 per cent, worldsteel reported. Russia, the world’s sixth biggest producer, made 71.7 million mt of crude steel in 2018, up by 0.3 per cent on 2017. Ukraine produced 21.1 million mt, down 1.1 per cent from the previous year. Annual crude steel production for South America was 44.3 million mt in 2018, up 1.3 per cent on 2017. Of this, Brazil, the ninth biggest in the world producing ranks, produced 34.7 million mt, up by 1.1 per cent.